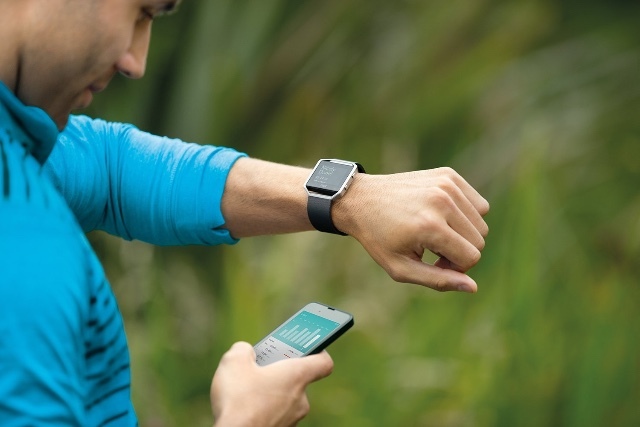 When you’re struggling to reach your fitness goals, a fitness tracker can be a big help. By keeping close tabs on your activity, a tracker makes you more aware of how much you’re moving every day. Activities like counting steps taken or gauging your workout intensity can push you to be more active. Many trackers monitor your heart rate to give you a glimpse at your cardiovascular health without a visit to the doctor’s office. Heart rate tracking used to be a feature found only on high-end fitness gadgets. It required you to wear a chest strap in order to obtain accurate monitoring. The latest fitness trackers use optical sensors pressed against your wrist to calculate your pulse — just right for a smartwatch. Prices on these gadgets are coming down, and style options are on the rise. You can wear a fitness tracker that monitors your heart rate, steps and sleep and looks good enough to go anywhere you do, offering a 24/7 look into your fitness. If you’re on a budget, you’re in luck. 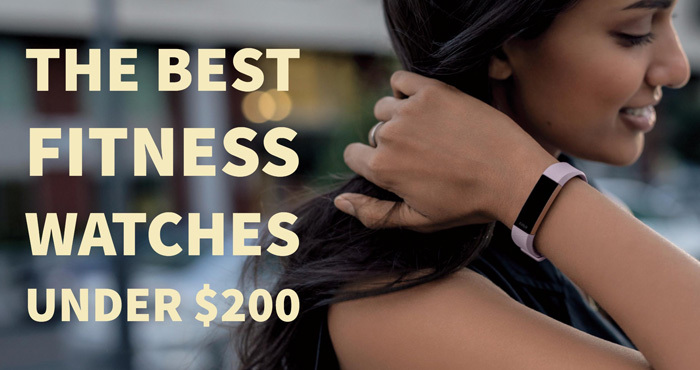 Today, you can find a solid fitness watch or band that includes a heart rate monitor for under $200. Here are our favorites. Should you get a gadget that’s purely dedicated to fitness or a fitness watch that can multitask? A fitness watch is basically a smartwatch with a focus on fitness features. 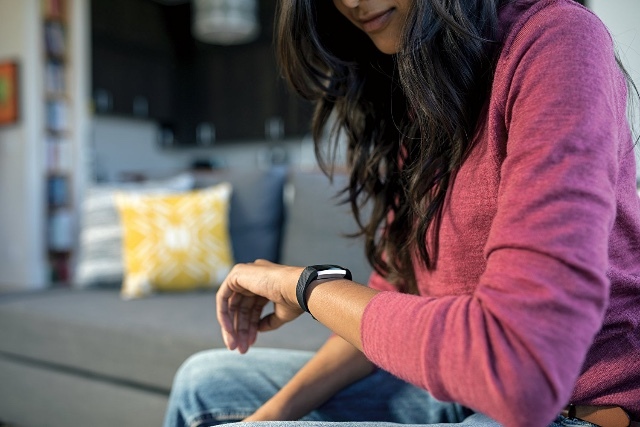 It pairs with your phone to send alerts and notifications right to your wrist. You won’t find high-end smartwatches like the Apple Watch in the under-$200 range, but you still have a range of excellent options to choose from. While it lacks many smartwatch features, this sporty fitness tracker is the perfect companion for runners. That’s because in addition to the standard tracking — heart rate, steps, calories burned, distance traveled and more — it features built-in GPS. It can map your route on its own and even guide you back to the start if you’re in an unfamiliar place. Set the Spark 3 Cardio to race against yourself (competing against your previous times) or guide you through interval training. Water resistance means you don’t have to take it off for swimming or inclement weather. The battery life on the Spark 3 Cardio ranges from great (up to three weeks if you’re just using the fitness tracking features) to unimpressive (up to 11 hours if you’re using GPS). But if built-in GPS mapping is a feature you need, you won’t find anything better for battery life or price. 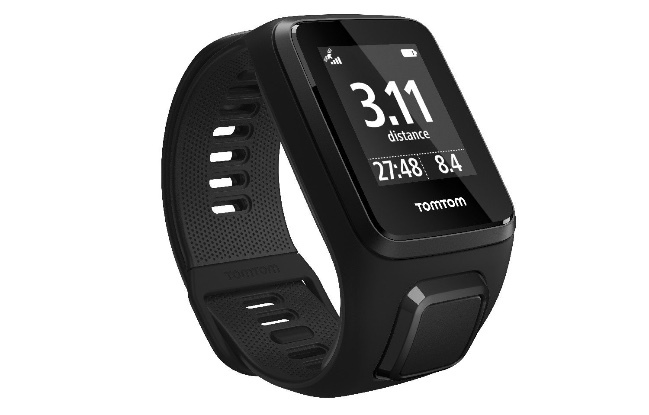 Tempted by the TomTom Spark 3 Cardio but want smartwatch features too? Look at Garmin’s Forerunner 35, which has built-in GPS and heart rate tracking in addition to the regular gamut of fitness tracking features. It won’t track your route in as much detail as the Spark 3 — the Forerunner 35 can’t give you directions back to your starting point if you get lost — but its built-in GPS gives you the freedom to go running without your phone. The Forerunner pairs with Android and iOS smartphones to display notifications, including calls and texts, and let you control your music. Let your friends and family follow your runs live (though you need to carry your smartphone with you to use these connected features). Fitbit makes some of the best fitness trackers on the market, and the Blaze puts Fitbit’s well-known tracking features into a stylish smartwatch. While you won’t mistake it for an Apple Watch, the square tracker’s stainless steel frame gives it a modern, streamlined look. Its wide range of bands include standard rubberized, sporty bands, premium leather bands or classic stainless steel links. The Blaze is a great fitness tracker, but its style stands out. The Blaze tracks everything you’d expect, though it doesn’t have built-in GPS tracking. It offers smartphone notifications, music controls, reminders to move, breathing exercises and on-screen workouts on its sharp color touchscreen. For the features it offers, the Blaze is a great value. If the Fitbit Blaze isn’t your style, the Withings Steel HR’s more traditional looks might strike you. For all its smarts, this watch keeps the time with analog hands. Only a small display at the top shows your fitness data. This means the Steel HR can’t give you detailed smartphone notifications or walk you through workouts, but its tiny screen is perfect for displaying heart rates and step counts or simple notifications like calls or texts. If you like the idea of a smartwatch but hate the look, the Steel HR could be the perfect solution. The Steel HR’s small monochrome display has another advantage, too: it doesn’t use much battery power. The Steel HR can go up to 25 days on a charge, much longer than the four to seven days you’ll get from most trackers on this list. The Huawei Fit watch covers all the basics but not much more. Still, you’ll get everything you need for just over $100. 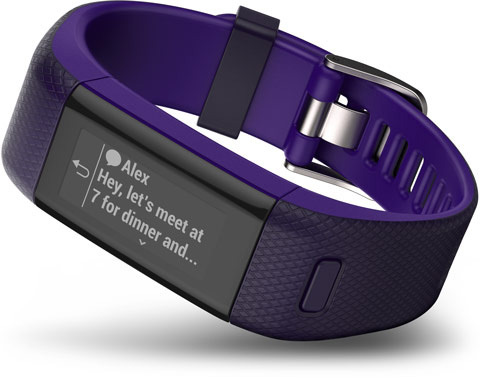 The Fit tracks your heart rate, steps, calories burned and distance traveled. It automatically monitors your sleep and lets you know when you’ve been sitting still for too long. The Fit has modes for a variety of exercises and is water-resistant for swimming. On the smartwatch front, the Fit notifies you of calls, messages and alarms. Its six-day battery life (with normal use) is good for a tracker with a screen and a heart rate monitor, though you’ll still need to charge it regularly. It works with Android and iOS smartphones, syncing to Google Fit or Apple HealthKit. 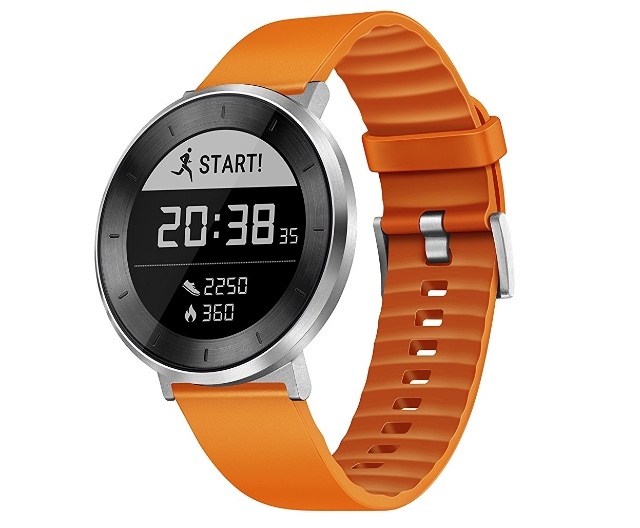 Really, the Fit is a decent option for anyone who wants something a little more sophisticated than a basic fitness band but doesn’t need all the bells and whistles of higher-end models. While some fitness bands offer smartwatch-style features like smartphone notifications, you can expect fitness band features to be a bit more basic. Expect smaller screens, straightforward styles and no fancy features beyond a heart rate monitor. Fitbit’s Alta was already one of the slimmest fitness bands you could buy, and the new Alta HR is the slimmest band with heart rate monitoring. While it still has the sporty look of an ordinary fitness tracker, the Alta HR looks more like a bracelet than a fitness gadget. Interchangeable bands that contribute more style than the average sports band help, too, but the Alta still basically looks like a fitness tracker. But the Alta HR has all of the fitness tracking features you need. It can monitor heart rate, step counts, calories burned and distance traveled, and it reminds you to get up and move occasionally, too. It connects to your smartphone for call and text message notifications, though its small screen means you won’t be able to see an entire message. If you want a bit more features than the Alta HR has to offer, Fitbit’s Charge 2 is next step up. It does everything the Alta HR does, tracking heart rate, steps, calories, distance and more, as well as move reminders and smartphone notifications. But the Charge 2’s heart rate monitor goes beyond the simple beats per minute of the Alta. The Charge 2 calculates a cardio fitness score based on your resting heart rate. In scientific terms, it measures your VO2 max, a gauge of how efficiently your body uses oxygen when you’re working out. 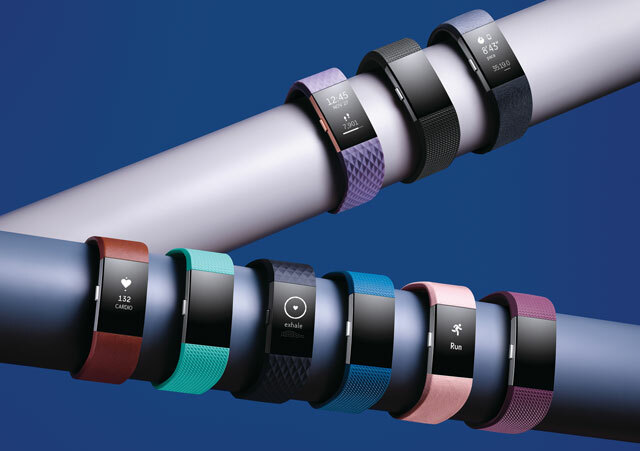 Fitbit’s numbers won’t be on par with a lab test, but they can give you an estimate of your cardiovascular health — and that gives you a useful measuring stick when you’re trying to get fit. Though Garmin’s Vivosmart HR+ won’t win any beauty contests, this straightforward band can handle the same tracking tasks as the Fitbit bands above plus GPS tracking and water resistance. Track GPS data during your run without having to carry your phone — a must-have feature for many runners. 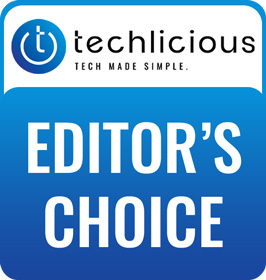 The trade-off is a device that’s slightly clunkier than the Charge 2 and only comes in a limited number of colors. But if looks aren’t a priority for your fitness tracker and you want to be able to swim or get better data for your runs, the Vivosmart HR+ is ideal. There’s no reason not to start developing lifelong fitness habits with your kids right now. A fitness tracker designed just for kids can help your child become more aware of how much they’re moving, turning getting active into a game. 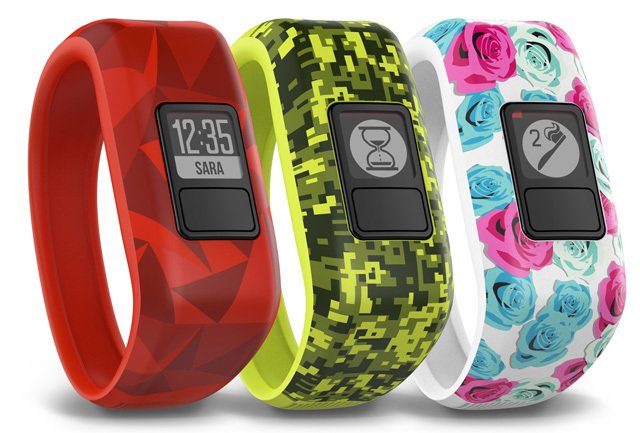 Designed for kids aged 4 to 9, Garmin’s Vivofit Jr. is similar to adult fitness trackers, but its features prioritize ease of use. This tracker isn’t too fussy for a child (or parents) to keep up with. The Vivofit Jr. doesn’t have a heart rate monitor and doesn’t do notifications, which gives it a long battery life of up to one year. The band is one-size-fits-most and stretches over your child’s hand without any snaps or buckles. It’s waterproof to survive a swim or a drop in the tub. Using the Vivofit Jr. companion app (for Android or iOS), you can turn exercise into a game. Activity rewards your kids with virtual coins, which they can spend on rewards you have agreed on like extra TV time. You can even use the app to assign chores, which also reward coins, though picking the rewards that will motivate your child is up to you.